It’s been over a decade since InuYasha anime began, in fact the manga which the anime series is based off of will have started seventeen years ago this year. Ever since InuYasha began making its way overseas in the early 2000s many anime fans have been waiting for the story to come to an end. 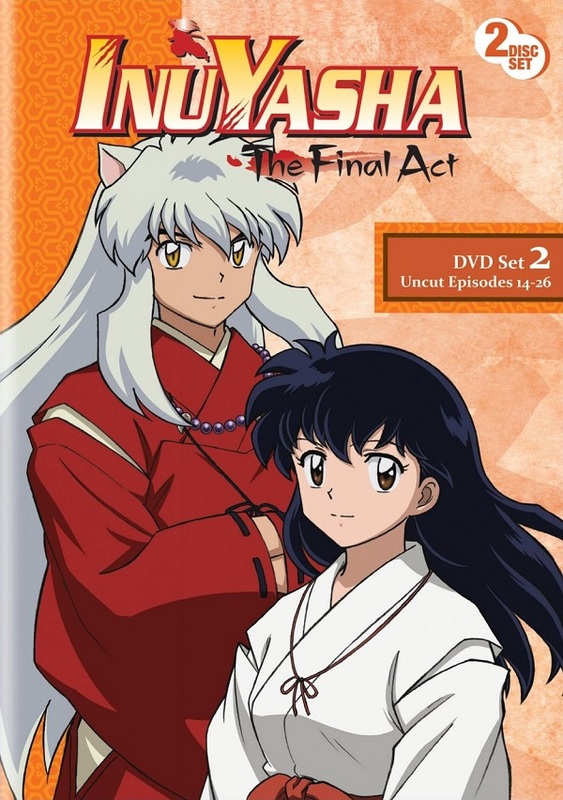 With InuYasha: The Final Act –Set 1 setting the pace, Set 2 brings this long running franchise to a close. But will fans be pleased with how everything wraps up? While this really should go without saying, anyone who has not followed the original InuYasha series will not only be lost in this release, but even for the first half of The Final Act as well. While this does mean that non-fans will probably be best skipping this release, those who are familiar with the series will appreciate the fact that the plot progresses at a rapid pace without falling into developing backstory or recapping events this far into the series. InuYasha: The Final Act – Set 2 picks up immediately after the events of Set 1 and the aftermath of Sesshomaru and InuYasha’s battle against Shishinki. In fact, the first running story arc of Set 2 brings the issues amongst these two siblings to the forefront as Sesshomaru realizes the truth behind Tenseiga and its ability. Even before the introduction of Naraku to the series, Sesshomaru has almost always fought against InuYasha and as the series has gone on, we’ve seen Sesshomaru become probably the most developed character in the series, even more than InuYasha himself. As such, this story arc takes advantage of that slow build to finally see Sesshomaru become more than he ever thought possible, even if his cold and somewhat aloof attitude remains. 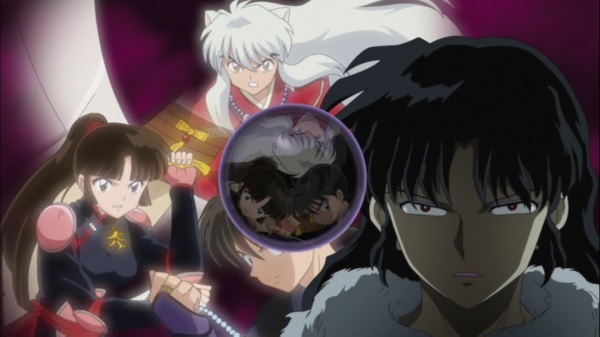 However even as these two siblings fight against one another, Naraku continues to reach his final goal, completing the Shikon Jewel and killing InuYasha and everyone he holds dear. 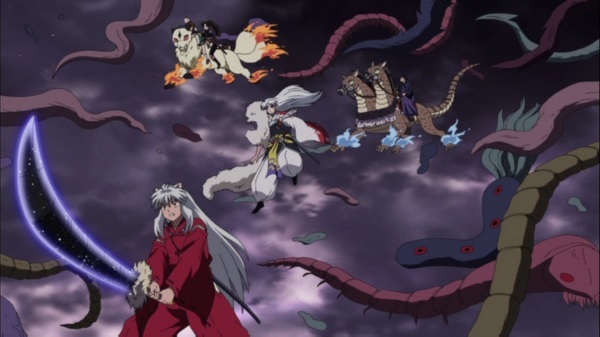 After Sesshomaru’s Meido Zangetsuha arc the series begins to slow down a bit however as Naraku manages to bring forth even more demons to threaten InuYasha’s group and even Sesshomaru’s as well. 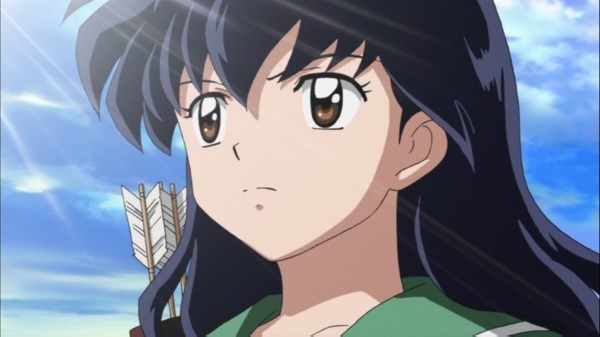 While this does help develop the core cast a bit more and strengthen their relationships with one another, this lull is ultimately unnecessary at this point in the storyline, especially the segments involving Kagome traveling back to her own time for various tests. While it ultimately does play a minor role in the ending of the series, trying to force these segments in at crucial moments of the anime’s story makes the entire series’ issues with focus all the more apparent. However when the series does manage to finally pull itself together for the final battle against Naraku, everything manages to fall into place in what probably is one of the best pay-offs in a shonen series. Quite often, shonen anime/manga tend to feature a large number of enemies, many of which can be seen as a “final boss” type of opponent. However even in the best shonen franchises these enemies are often defeated and replaced with another opponent usually unaffiliated with past enemies the protagonists have faced off against. 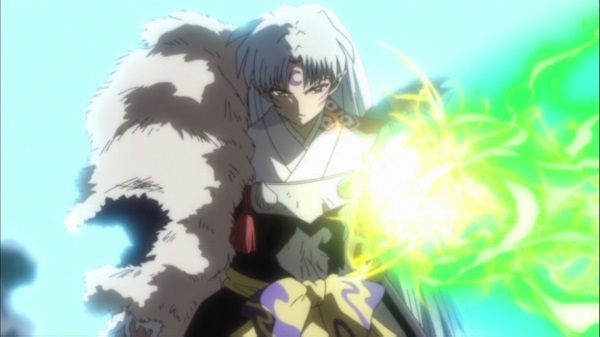 Unlike other series, InuYasha has featured its share of temporary enemies, but one mastermind has always been behind-the-scenes pulling the strings of these creatures, and that opponent is Naraku. 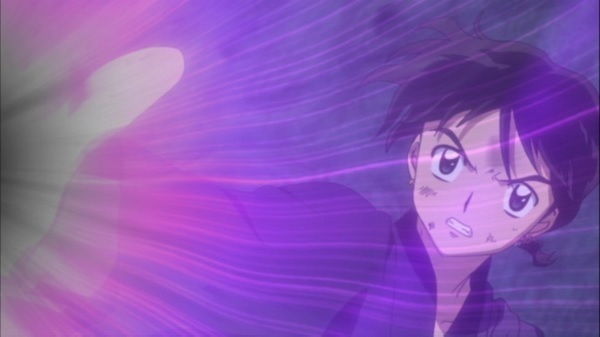 Despite being on the brink of defeat multiple times throughout the series, Naraku always managed to either outsmart the heroes or become strong enough to survive their attacks. As such, with Naraku at his strongest and in possession of a finally complete Shikon Jewel, the final battle begins. By no means is this final battle underplayed either, as five episodes are devoted to the group working to bring Naraku down. Of course things will not be as easy as simply killing him at this point and everyone, even Sesshomaru and his group, must work together to bring down this opponent. This ultimately leads to rather outstanding final episode which should satisfy any fan of the series while still leaving something for the imagination. Although created five years after the original InuYasha series and undergoing a number of enhancements, InuYasha: The Final Act still manages to retain that classic feel that the original series had back when it aired long ago. The character designs have all remained the same, though again, their animation has improved compared to the former series. It is worth noting though that whenever there is a flashback to an event from the first InuYasha series, the footage presented has not been re-done in any way. Where the series shines the brightest is during the action sequences that pretty much make up the entirety of Set 2 minus a few lulls here and there. These battles are impressively handled and the special effects used for the various attacks, especially the new Meido attacks, are memorable. 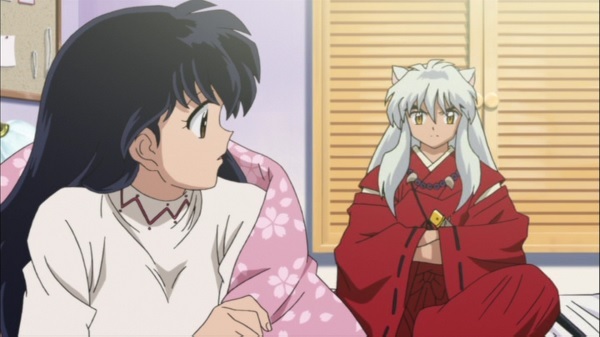 As mentioned in my previous review for Set 1, it is worth noting that Viz Media was not able to retain the voice actors for Kagome and Sesshomaru who were voiced by Moneca Stori and David Kaye respectively. Thankfully the rest of the cast was retained and thanks to this, the English voice work for the series remains quite impressive and the new voice actors for Kagome and Sesshomaru, Kira Tozer and Michael Daingerfield respectively, do a decent job handling the characters, though after experiencing the original voice actors in the movie collection released by Viz, longtime fans may dislike these changes. The series retains its signature background themes that fans have become familiar with over the years and these are used at suitable moments throughout the release. The opening theme “Kimi ga Inai Mirai” by Do As Infinity remains unchanged in Set 2 and continues to be the opening for the rest of the series, though this isn’t an issue thanks to the great quality of the song. The ending theme also carries over, with “Diamond” by Alan lasting for half of Set 2 and being replaced by “The Long Road Ahead” by Ai Takekawa for the latter half of the release. Both of these tracks aren’t very memorable unfortunately and viewers will likely have no qualms skipping through them. Unfortunately, Inuyasha: The Final Act – Set 2 comes with barely anything recognizable as a bonus feature. In this DVD release of the second half, we have the original Japanese trailer for the series and the original cast credits which are played in English. Also included is a “Sneak Peek” which provides a trailer for Viz’s Neon Alley service and one of their older anime, Kekkaishi. As far as the packaging itself goes, the DVD comes with a rather standard black DVD case that does not include any inserted material and only the DVDs themselves are included in the package. 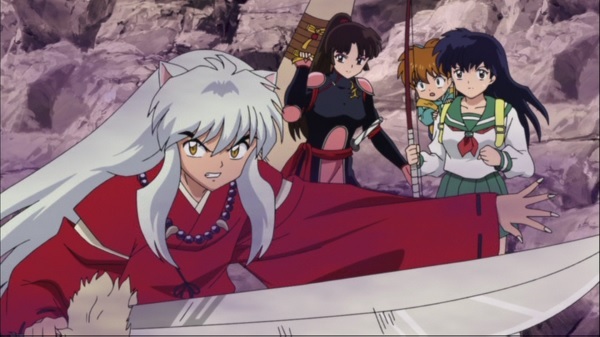 InuYasha: The Final Act – Set 2 brings this nearly 200 episode series to a close. It has been a long time coming and thankfully the series manages to deliver a great ending that ties together numerous hanging plotlines that had yet to be resolved. Although lacking in extras and ultimately something only a longtime fan of InuYasha would understand, this release offers an entertaining conclusion to the series that fans will be pleased with.